Rev. Graham was reacting to news stories regarding Ontario’s “Bill 89,” which was passed on June 1 by a vote of 63 to 23. As Breitbart News reported earlier this week, the new legislation has removed language regarding a family’s religious identity and replaced it with concepts such as “sexual orientation, gender identity and gender expression” as relevant factors for determining a child’s best interests. Ontario’s Minister of Children and Youth Services, Michael Coteau, who introduced the bill, said earlier this year that a parent’s failure to recognize and support a child’s gender self-identification is a form of child abuse, and a child in these circumstances should be removed from the situation and placed into protective care. “Can you imagine having the government take your children away from you if the children decided they felt like switching their gender identity and you disagreed?” Graham wrote in his post. “I hope Bible-believing churches and Christians across Canada will stand against this wicked law that has been pushed by progressives and the LGBT community,” he added. Rev. 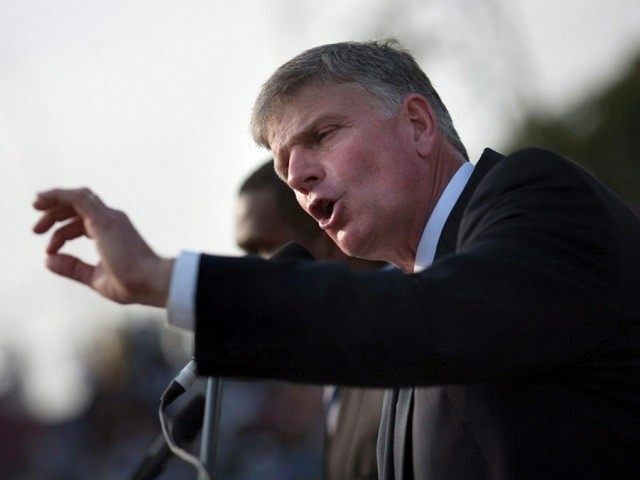 Graham, the son of celebrated evangelical leader Billy Graham, also invited readers to take note of why political awareness and voting are so important in a democracy. “This is another example of why who we vote for on the local, provincial, and national levels is so important! And the U.S. had better be on guard against laws like this being pushed right here in our own backyard,” he said.